If you’re working in the building industry without a contractors license, you could legally be denied payment by customers for jobs under $10,000. You can also be fined on top of this. 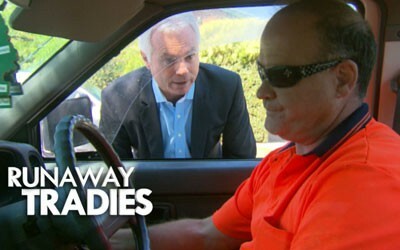 A Current Affair and Today Tonight love to run stories on ‘dodgy tradies’ but I don’t recall ever seeing reporting on the customers that don’t pay for the work completed! If you don’t have a trades license there’s not a lot you can do to legally try to recoup your payment. The best way to avoid these situations is to be licensed. In South Australia that means that you need to complete 2 business units, SBSMB406– Manage small business finances & CPCCBC4009B– Apply legal requirements to building and construction projects. Our last course for the year starts Saturday November 7th at 9am. Courses are held at 15 Jacobsen Crs Holden Hill. The course runs across 2 weekends, with the trainer setting aside Sunday afternoons to help with any questions regarding the assessment questions that need to be completed. To book, click here . For more information on the process of obtaining your BLD# visit this SA Government website link. If you are unsure about the process and would like some help, or if you didn’t complete an apprenticeship, Sam Cottell is a trade licensing consultant who use to work at OCBA/ Consumer & Business Services. He can be contacted on 0430206032. The FCTA team are happy to assist with questions also, you can call us on 8367 5615 or email admin@fcta.com.au. ← So Why Cant We Give Employers What They Want And Deliver Apprentice Training Solely Onsite?